KQED recently aired a series of well-researched and very thoughtful pieces on the increasing segregation of Oakland’s students along lines of race and class. If you haven’t listened to or read the pieces, please do. Here are parts 1, 2, 3, and 4. Additionally, here is an interview with Supt. Wilson where he takes on the issues raised here. Who attends school, where, and with whom, are hugely important issues in the struggle for equity for all students. It’s vitally important to understand the multiplicity of factors that contribute to racial and socioeconomic segregation, along with the levers for addressing it. Modern school segregation isn’t enforced by the legal barriers of generations ago, and much of it is driven by things that happen outside the schools. It is partially a product of a legacy of discriminatory housing practices. It is also driven by the polarization of wealth within Oakland and the changing neighborhood demographics that have resulted from that polarization. 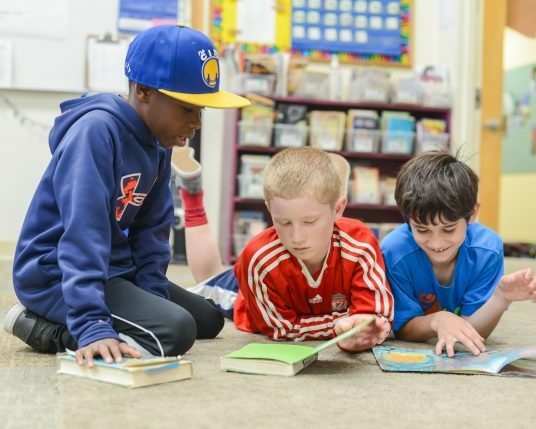 School segregation is further exacerbated by the limited number of high quality schools within Oakland Unified School District and the many barriers to access that low-income families face in seeking the best school for their child. It is here that we can have the most immediate impact. 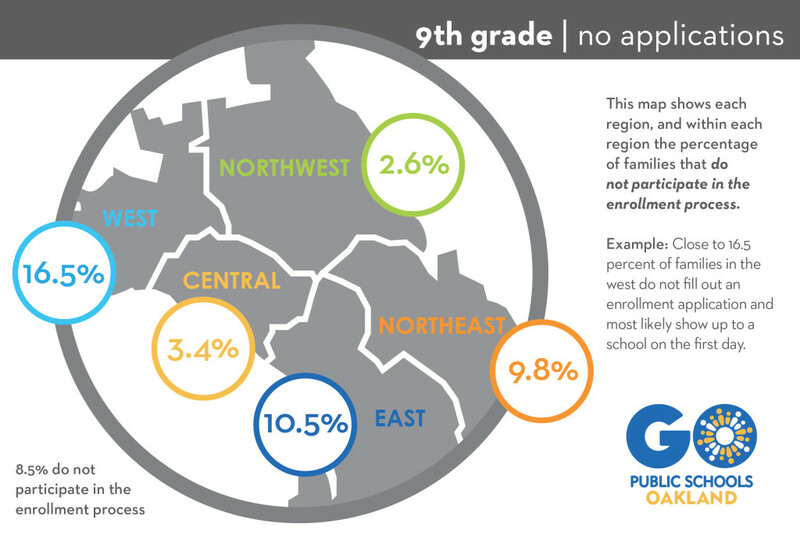 In April, we took a look at the Strategic Regional Assessment data and found what was later confirmed in the KQED pieces – that difficulty in accessing school enrollment applications and lengthy commutes present serious hurdles to families in West and East Oakland. District school choice is only a reality for families with the social capital and means to work the system and the resources to send their student to a school outside their neighborhood. As long as this is true, high performing schools will continue to become more white and more wealthy. There is no quick fix solution to school segregation. However, making the enrollment process more accessible to low-income families is an immediate need and one that we can meet. Currently, parents who want to participate in District school choice have to travel to a central location to fill out a paper application. For parents without flexible work schedules or easy access to transportation, this can be an impossible hurdle. In 2016, there is no reason this should be the case. We hope that KQED’s attention to this vital issue sparks productive conversations about the inequities in Oakland education and that those conversations lead to collaborative efforts that prioritize our highest-needs and most underserved students.